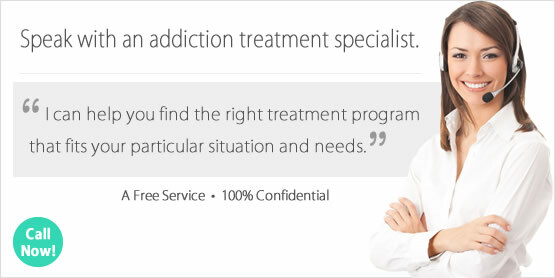 Looking for a Drug Rehab or Alcohol Treatment Center in Arkansas? In Arkansas anyone struggling with a drug or alcohol problem has options and opportunities to turn things around starting today at a drug rehab program in the state. For family and friends who need to step in and intervene on someone's behalf, treatment counselors at drug rehab programs can help you also, by providing direction, answering questions, helping with logistics, and even starting a drug or alcohol intervention. There are drug rehab programs that can work for anyone in Arkansas, and no one is a lost cause and it's not too late for you or a loved ones struggling with substance abuse not matter how advanced the problem is. Take the first step, and speak with a treatment counselor in Arkansas today and see how simple and easy it is to change your life or the life of someone you care about starting right now. A single day count in 2013 indicated that over 6,000 people in Arkansas received substance abuse treatment in some type of drug rehab program in the state. Overall however, over 11,000 Arkansas residents were admitted to a state-supported treatment facility for a substance abuse problem that year. Of the treatment clients in rehab, 32% were in treatment for drug use only, 16% were in treatment for alcohol use only, and 53% were receiving treatment for both drugs and alcohol. Even though over 11,000 Arkansas residents were admitted to state-supported drug rehab facilities in 2013, it is estimated that over 53,000 needed help for an illicit drug use problem and over 118,000 needed help for an alcohol use problem, neither category of which received this help. In recent years, there has been a decrease in alcohol and marijuana treatment admissions in Arkansas and an increase in treatment admissions citing that methamphetamine was their primary drug of choice. Studies also indicate that both heroin and methamphetamine use have increased for 10th and 12th graders since 2012, rates which are greater for Arkansas 12th-graders than their national counterparts. In fact, the overall rate of illicit drug use is much greater in the state than nationally, particularly among 18-25 year olds. In recent years Arkansas experienced a higher rate of non-medical use of prescription pain relievers among residents in this age group, with residents aged 26 and older experiencing the same higher rates. Study findings indicate that there has also been a significant increase in drug admissions with a co-occurring alcohol problem. About 16% of treatment clients in Arkansas are there for alcohol abuse only, and over 53% are there for both alcohol and drug abuse problems. So alcohol treatment in Arkansas more than half of the time must also take into account that the problem is much more involved and the most comprehensive treatment will be necessary to stop either problem from progressing any further. Treatment is lacking in Arkansas for the alcohol abuse problem, with nearly 89% of the individuals experiencing an alcohol abuse or dependence problem needing but not receiving treatment for it. So efforts must be made to help individuals with an alcohol abuse problem find the help they need in a drug rehab program that is right for them. While many 12-step programs exist, this isn't the only solution available in the state, with many drug rehab programs providing alternative treatment including behavioral modification and other techniques which have proven far more effective. In Arkansas there are around 81 outpatient drug rehab programs and 8 hospital inpatient programs. There is a choice in regards to outpatient services, between either regular or intensive treatment with regular treatment being an one day per week commitment where services include substance abuse counseling and therapy. Intensive outpatient is usually 3 days per week for the entire day, and clients receive the same types of services just more intensively. There are 48 facilities which provide intensive outpatient services, and 28 providing even more intensive day treatment/partial hospitalization services. Day treatment/partial hospitalization outpatient drug rehab in Arkansas may include more intensive and specific treatment for addicted individuals who also need to address a co-occurring mental health disorder or other underlying condition. There are 5 facilities in Arkansas providing a type of outpatient treatment known as opiate maintenance, which requires clients to dose every day on medical opiates drugs such as methadone or buprenorphine to curb opiate withdrawal. Inpatient treatment isn't as widely available and accessible in the state, but is a better solution for clients who have a chronic drug or alcohol problem who need this change of environment. Addicted individuals experience intense challenges when they first come off of drugs or alcohol, and many even for a long time after that. The risks associated with relapse are very high for individuals who don't have the structure and appropriate environment to fully recover in, that in many cases only an inpatient or residential facility can provide in the state. What does Inpatient Rehab in Arkansas Involve? In inpatient treatment in Arkansas, clients will be in treatment in either a 30-day short term program or a long term program which can last anywhere from 60-120 days. It is about half and half in terms of short and long term inpatient options in the state at this point. Inpatient treatment plans depend on what the client will need to address based off of a thorough assessment of every aspect of their substance abuse problem and current physical and mental health status. Treatment plans are usually structured around a daily schedule of treatment activities which can include different types of substance abuse counseling, actions to address a co-occurring mental health disorder if this exists, as well as innovative techniques to address the problem proactively including cognitive behavioral therapy, motivational interviewing, anger management, trauma-related counseling, and other similar steps. What does Outpatient Rehab in Arkansas Involve? Depending on the outpatient program chosen, outpatient clients will take part in treatment as little as one day per week, or perhaps every day of the week with the more intensive treatment options. Outpatient treatment is typically a much more moderate approach, with not as wide of an array of services offered. Most clients will receive group and individual counseling, although some programs do delve into family, and marital/couples counseling as well. In some instances outpatient treatment facilities in Arkansas may provide a comprehensive mental health assessment or diagnosis and mental health services in addition to the addiction treatment their offer.